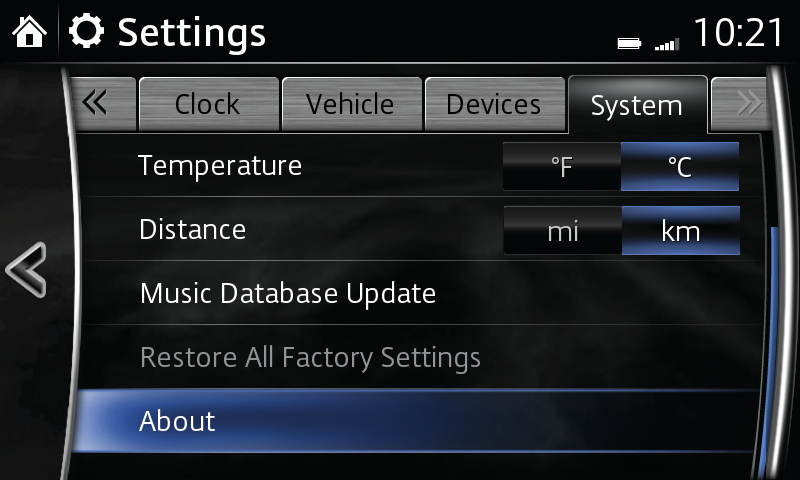 Customization of your system is intuitive and easy, so modify your adjustments as often as you like. For an optimal listening experience, you can customize the sound in your vehicle. During phone calls, navigation guidance, voice command prompts, music, etc., you can adjust the audio volume by turning the VOL knob clockwise to increase volume and counterclockwise to decrease volume. Short-press the commander volume knob to turn mute On or Off. 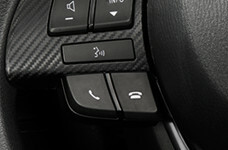 The volume button on the steering wheel can also be pressed to adjust volume. 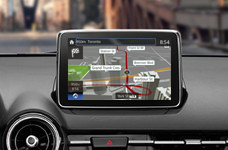 – You may refer to your owner’s manual for additional details regarding customized settings. – Some features may not be available on all systems. Press Off to turn touch screen display Off. Touch screen display can be turned on by pressing any button on the commander. 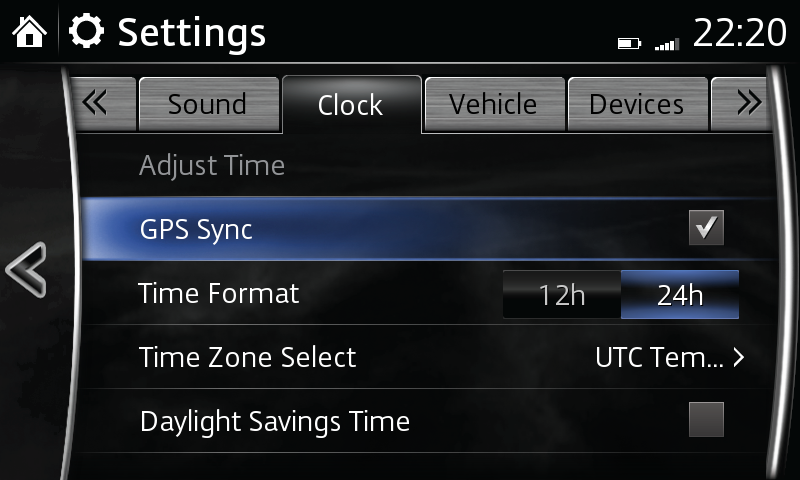 Select System to adjust touch screen display according to time of day. Press Day, for daytime mode. Press Night, for night mode. 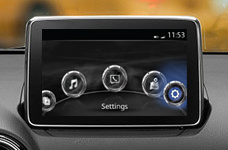 Press Auto to let screen automatically switch according to headlight illumination conditions. Select Brightness, use slider to adjust touch screen display brightness as desired. Select Contrast, use slider to adjust touch screen display contrast as desired. Select Restore Factory Settings to reset screen to original settings, press Yes to confirm. Select Bass (low pitch sound), slide to enhance or reduce. Select Treble, slide to enhance or reduce. Select Fade, slide to adjust front/back speaker volume balance. 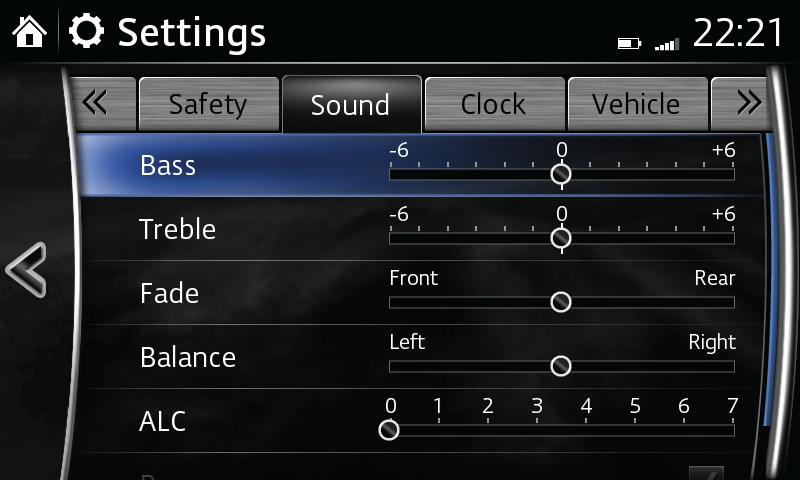 Select Balance, slide to adjust left/right speaker volume balance. Select Auto Level Control (standard audio) for automatic volume adjustment at 7 levels. Select SMART BRAKE SUPPORT (SBS/SCBS). Disclaimer: Low-Speed Pre-Collision System operates at speeds 18 mph or less. It is intended to assist a driver, but it is the driver’s responsibility to be aware of the vehicle’s surroundings. The system cannot prevent all collisions, and performance is dependent on road, weather, and vehicle conditions. See Owner’s Manual for additional limitations and details. 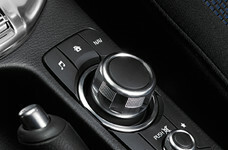 Select Keyless Lock Beep Volume, select to set volume at High, Medium, Low or Off. Select Door Relock Time, select to set automatic relocking at 90, 60 or 30 seconds. Select Unlock Mode to select your desired settings. Select Language, press appropriate language choice. Select Temperature, press F (Fahrenheit) or C (Celsius). Select Distance, press MI (miles) or km (kilometers). Select Restore All Factory Settings to reset system to original settings, press Yes to confirm. Select Agreements and Disclaimers to display list of documents for viewing. Using the optional navigation system is simple and convenient when you configure your system according to your individual preferences. Click here to customize the map view and other settings. 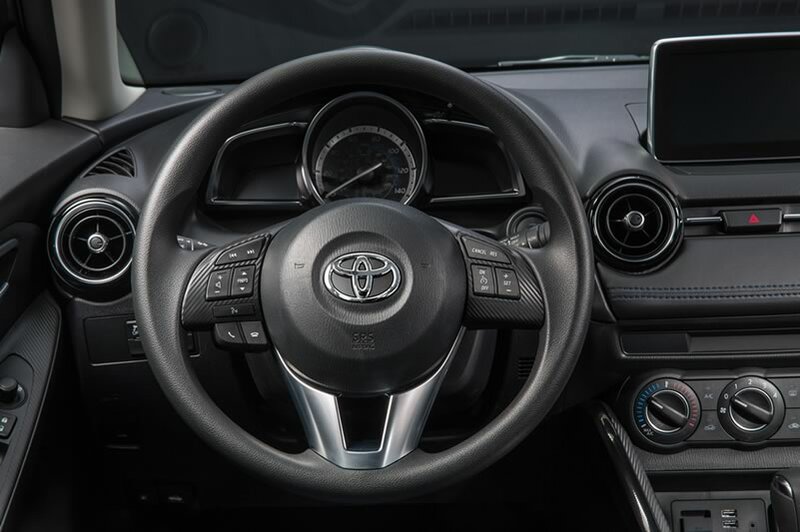 – When your Toyota multimedia system display setting is set on AUTO, the instrument cluster and display may become dimmer when the headlights are on. If the display and instrument cluster becomes too dim or too bright when the headlights are on, simply rotate the dimmer knob located on your instrument cluster to adjust the brightness.